THE LOST SOULS explores the dark and disturbing worlds of two very troubled individuals. Traumatised by the repercussions of their pasts, we learn how it is sometimes the people who love you the most that cause you the most pain forcing you to do unspeakable things. SYNOPSIS: A man imprisoned both physically and mentally by his horrifying past, is haunted by a mystery woman. She tortures him, forcing him to relive the haunting moments of his life, every waking day turning his world into one twise-occurrinted re-occuring nightmare. But who is she? "Dark & Captivating" - "The acting is flawless"
"Everyone should go and watch these two deeply twisted yet intruiging shows!" Mannequin premiered in May 2012 at The Moors Theatre, Crouch End as part of the Crouch End Festival & recieved great reactions from the audience. Eli decided to write a one-woman show to be paired up with Mannequin to form The Lost Souls. SYNOPSIS: A young woman invited all of her dearest friends to a special tea party. But what she considers to be special, most would call sinister and as events unfold the quaint little tea party becomes a disgustingly vicious world of horror. The Lost Souls previewed in Sussex & Kent in August 2012. In summer 2012 Quint-Essential were invited to be part of the London Horror Festival in Camden. The London Horror Festival is the UK's only festival of horror in the performing arts, showcasing a broad range of horror theatre, including comedy, magic, improvised ghost stories, body horror & much more. The festival this year was held at the Etcetera Theatre, a fantastic intimate venue in the heart of Camden Town, perfect for scares & gore galore! 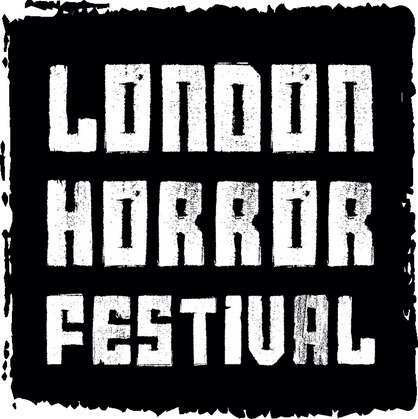 THE LOST SOULS was performed at The London Horror Festival on the 19th, 20th and 21st October 2012 to fantastic audiences of both theatre & horror enthusiasts, receiving great comments which resulted in QUINT-ESSENTIAL being invited back to the festival in 2013. In collaboration with The Public Space, Quint-Essential revived their critically acclaimed two one-person shows in Sitges, Spain in October 2014, officially branding Quint-Essential an International Theatre Company. For three nights during the prestigious SITGES INTERNATIONAL FILM FSTIVAL the company peformed THE LOST SOULS at the brand new coffee and street gallery The Public Space.